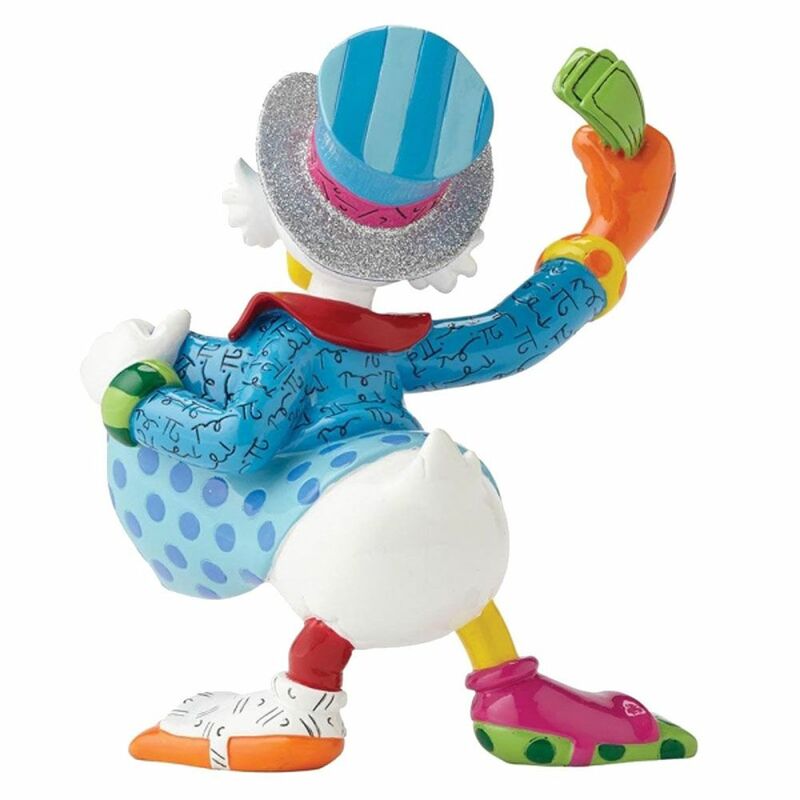 In this resin figurine Uncle Scrooge is showing off his own wealth. Introducing a new collection to Disney by Britto featuring all your favourite characters in a slightly smaller size and lower price but with even bigger smiles and personality than ever before. The figurine is made from resin, packed in a branded gift box.